When life brings an unpredictable illness or a serious injury, the accompanying physical and emotional challenges can be overwhelming. There are treatment options to consider, doctor appointments to schedule, and financial questions to address. The burden to make these decisions can affect loved ones, too. At the seminar NCH experts as well as specialists from Midwest Palliative & Hospice CareCenter will review care options for complex illnesses, explain how to prepare an advance directive and discuss patients’ healthcare rights and legal options. Following the program, NCH chaplains and social workers will be available to assist attendees with completing their healthcare decisions forms. To register for this free seminar and to schedule a private consultation, call HealthConnection today at 847.618.4YOU (4968), or visit http://www.nch.org . Northwest Community Healthcare (www.nch.org) includes a 496-bed hospital in Arlington Heights that serves approximately 30,000 inpatients and 350,000 outpatients each year, as well as the Busse Center for Specialty Medicine, Day Surgery Center, Home Care, Mobile Dental Clinic, Wellness Center, Youth Center, NCH Medical Group and four immediate care centers in the northwest suburbs of Chicago. Media Contact: Adam Zuckerman at 847.618.5504 or azuckerman@nch.org. 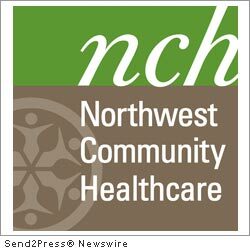 News Source: Northwest Community Healthcare :: This press release was issued on behalf of the news source by Send2Press® Newswire, a service of Neotrope®. View all current news at: http://Send2PressNewswire.com .